Manchester United and Arsenal are set to meet at Old Trafford in under an hour’s time. We head into this evening’s fixtures eight points behind the in-form Gunners who currently occupy the fourth and final Champions League spot. Unai Emery’s side are unbeaten in their last 12 Premier League matches, winning nine, including the 4-2 beating of Tottenham Hotspur on Sunday. Paul Pogba drops to the bench as we predicted earlier following reports that Jose Mourinho was angry at him for his performance in the 2-2 draw at Southampton on Saturday. 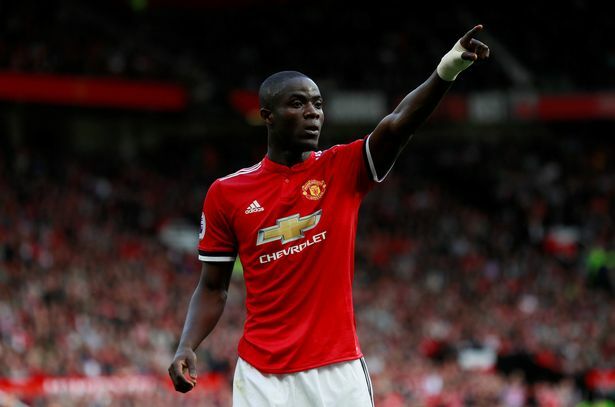 The boss has handed a start to Eric Bailly for the first time in two months. The Ivorian appears to be part of a back five that also sees Marcos Rojo makes his first start of the season. Diogo Dalot makes his full Premier League debut for us with Ashley Young suspended. Luke Shaw picked up an injury at St Mary’s over the weekend so Matteo Darmian comes in at left-back. Nemanja Matic moves back into his holding midfield role alongside the energetic Ander Herrera, with both Scott McTominay and Marouane Fellaini joining Pogba on the bench. Marcus Rashford is recalled to the starting XI as Romelu Lukaku is only named among the substitutes. The England international will be joined by Jesse Lingard and Anthony Martial in attack. No surprises in the Arsenal starting lineup. The back three remains the same that beat Spurs at the weekend, though they’ve not kept a clean sheet in any of their last seven Premier League outings, ever since Bernd Leno replaced Petr Cech between the sticks. Aaron Ramsey and Alex Iwobi will start in attack with Pierre-Emerick Aubameyang the main focus. Alexandre Lacazette came off the bench to score against Spurs on Sunday and that’s where he will start this evening’s game too. Previous Article← Should Paul Pogba start against Arsenal? Arsenal is currently in good spirit, but it could evaporate quickly, if Emery could not handle it wisely. I see today’s formation has Ramsey and Iwobi starting the game. That is a big no, knowing both of them are not good passers of the ball and they tend to make games muddy. Iwobi runs with the ball, but hits a wall wasting many good chances. Ramsey spins around people, but fails to pass the ball to the right player at the right time. Having these two together up front could be costly and Abu will never see a good pass, if any. Mikitarian should have started in place of one of them, even Wilcox will be a much better upgrade. The back looks solid. Torriera and Gundozi will be excellent, good for the team Xhaka is out. Lacaz should have started alongside with Abu. The two together are unstoppable. In today’s line-up there will be no link between the back and the front. Let us hope for miracle. This formation is Wenger’s style.